Your floors are one of the most noticed attributes in your home, so why settle for anything less than spectacular? Whether in your home or at the office, you should have something that is durable, yet beautiful and with us, that is exactly what you get! When it comes to marble and tile floors, installation can be an overwhelming process if you do not know who you are working with. For this reason, we strive to get to know you and what you are trying to achieve, forming a long-lasting relationship based on integrity and trust. 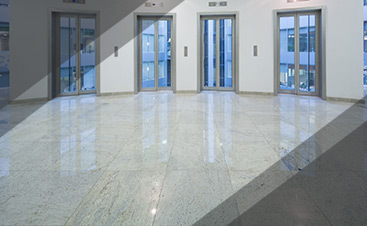 Because of our years of experience and superior attention to detail, you can rely on us to go above and beyond with your marble or tile installation. Every job we take on is different, and every client we serve is unique. Our promise is to make your project our priority, checking your floor’s existing structure and guiding you through our process. Our trained installers work closely with local fabrication stores and distributors, providing you with the best materials and high-quality products. We understand that you may not know what goes into marble installation, so we take our time to keep you informed. We strongly believe in taking care of everything from start to finish. All you have to worry about with No More Dirt is falling in love with exceptional results. 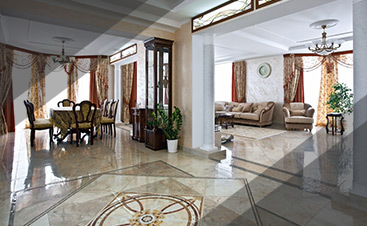 We’ll cover everything from the install to professional marble polishing. 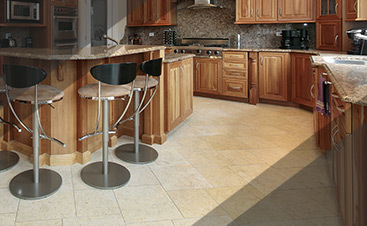 Looking to complete granite and ceramic tile installations as well? We can help with that, too! After your marble is installed, we will also show you how to properly care for your new floor to maintain its beauty and quality. Having your dreams come true is completely possible with No More Dirt. For your free consultation and estimate, contact us today!